Established in 1997, Pro Ride Snowboard Camps is the only “by rider for riders” snowboard program based in Whistler, British Columbia, Canada. We have the best training facilities on the planet offering more then 8,100 acres of shreddable terrain, full of the best pipes, parks, trees and steeps you can imagine. 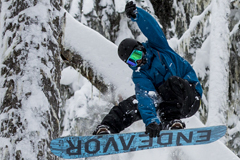 Whistler is consistently ranked one of the best destination Snowboarding resorts in North America and boasts an annual snow fall of over 10 meters making it the ultimate place to hone your skills. Pro Ride coaches are handpicked from some of the top sponsored riders, examiners and professional coaches in the sport guaranteeing you the best training and experience you can get from a program. They eat, sleep and breathe snowboarding and can’t wait to improve your skills, showing you their secret spots and taking you on unforgettable adventures. At Pro Ride we offer the lowest camper to coach ratio of 4:1 ensuring that every rider gets some one on one coaching while at the same time have the benefit of being pushed by a group. All of our programs are extremely flexible and can be personalized to cater to your individual interests, goals and needs. We cover all aspects of snowboarding including freeride, freestyle, instructor and backcountry training, matching you up with the best coach so that your personal goals will be accomplished. 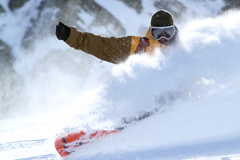 We will organize everything from your airport shuttle to accommodations to backcountry cat boarding or a heli dream day. We thrive on creating that ultimate snowboarding experience and will stop at nothing to make it happen. Pro Ride not only focuses on your epic day on the mountain but we take the time to plan off-snow activities and social events so that you get the most out of your Whistler trip. You’ll meet people from all over the world that share the same passion for snowboarding and good times, and leave as a member of the Pro Ride family . Take your riding to the next level and sign-up for a Pro Ride Snowboard Camp this season.